Falls are one of the most common causes of workplace injuries and deaths. In 2015, the Bureau of Labor Statistics reported that slips, trips, and falls accounted for 309,060 nonfatal injuries and 800 fatal work injuries, of which 20% were from ladders. 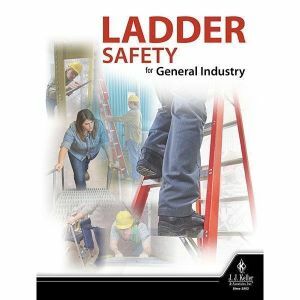 To address these hazards, OSHA regulates all general industry workplaces under Subpart D, “Walking-Working Surfaces.”The J. J. Keller® Ladder Safety for General Industry training program is designed to help employees understand OSHA’s requirements for working with ladders. Specifically, it will cover the potential hazards and protective measures employees can take while working with ladders to help prevent injuries. Play Program - Plays entire main program (30 minutes).